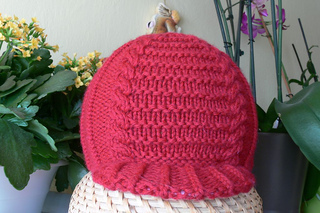 I worked up this cabled baseball cap in memory of my grandaddy, Dexter Orville Alford. 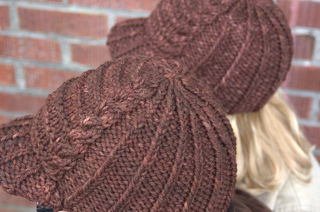 Knit in chunky weight yarn, you can literally make one in an evening. Bonus! 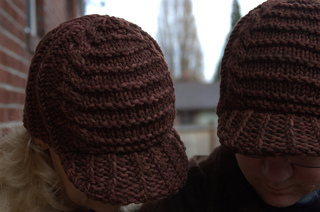 Make the cap baby size by using the instructions for XL size, but use worsted weight yarn and size 8 needles, like this Navy Olive Claudia Hand Painted Yarns Worsted one in Malcolm’s picture. Cute!